When suffering from depression, you may not feel like being active. However, just getting outside and being active may help you feel better by raising endorphins and reducing your stress level. Getting out of the house has shown to reduce symptoms of depression, and some people suffering with Chronic Kidney Disease (CKD) say that it helps them better than antidepressants. Horseback Riding is a wonderful experience that benefits the rider both physically and mentally. Therapeutic benefits include improved balance, posture, co-ordination as well as more supple and relaxed muscles which can reduce muscle spasms. Regaining mobility, with the challenge of learning something new along with a slight risk element provides a real sense of achievement. Independence and confidence grow along with the pure enjoyment of riding. For those who want to go further there are competitions, and if riding is not an option there is always carriage driving. Bicycling benefits are the same for a disabled person as they are for one who is able bodied. It is fun and it promotes physical and mental well being and for the disabled person there is the addition of independent mobility. First time riders describe it as exhilarating, empowering, and challenging. Hand- Crank bicycles are available to allow wheelchair users to power themselves by hand. Fishing is very popular within the disabled community and it is easy to see why. It provides a great opportunity to enjoy being outside in a healthy environment. It has been proven that fishing increases attention spans, offers social inclusion, sense of achievement and motor skills development. In recent years many fisheries have improved access with better platform designs, pathways and car parking. 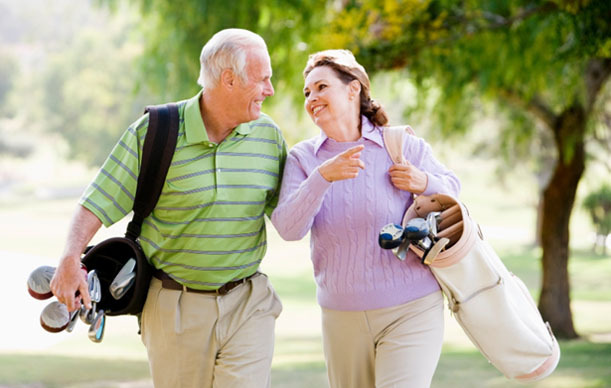 Other Activities include Walking, Golfing and Shooting. The above listed activities should take the edge off of your distress. You may have to force yourself to be active in the beginning, but once you get past your hesitancy, it should pay big dividends for you eventually.